Morgan Clemons is adjunct professor teaching Introduction to Financial Compliance. 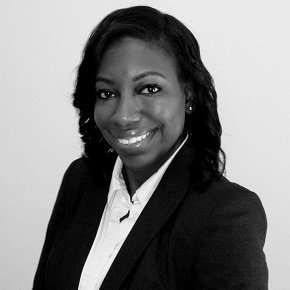 She is a regulatory compliance attorney with experience representing start-up online lenders, money service businesses, community banks, and mortgage companies. She focuses her practice on representing financial institutions on matters related to consumer protection issues, including advising institutions in connection with supervisory examinations, investigations, and enforcement actions related to the Fair Debt Collection Practices Act, the Fair Credit Reporting Act, the Equal Credit Opportunity Act, the Secure and Fair Enforcement for Mortgage Licensing Act, Truth in Lending Act, and Regulation P, which governs the treatment of nonpublic personal information about consumers by financial institutions. She is experienced in reviewing examination findings and negotiating administrative action settlements for national lenders and money service businesses. She has experience drafting and filing no action letters and requests for interpretive guidance on behalf of payments companies, advising mortgage companies and marketplace lenders on licensing as well as ongoing reporting and record-keeping requirements, and assisting retail banks with compliance issues. She has drafted language implementing key changes to money service business laws to update terms and account for emerging business models. She has served on national committees as a subject matter expert and has been consulted for expert testimony in connection with litigation preparation. She currently serves on the national Mortgage Bankers Association of America State Legislative and Regulatory Committee and co-chairs the Mortgage Bankers Association of Georgia Compliance and Quality Control Committee. She is an active member of the Community Bankers Association, the National Association of Minority Mortgage Bankers of America, and the Technology Association of Georgia FinTech group. She serves as the general counsel for the Georgia Real Estate Fraud Prevention and Awareness Coalition.